Nike Air Max 90 Essential athletic shoes for men. Released in the colors grey with black and white. Sneakerpaleis is your Nike Air Max 90 specialist! Nike is for years the most popular brand of shoes and clothing in the whole world. Nike Air Max 90 was released first in 1990 and was able to reach the big audience. Since the 90s, the Nike Air Max 90 is one of the most popular shoes in the world. We have the whole year a wide choise of Nike Air Max 90. The upper side of the front of these Air Max 90's are made of textile. Because of the small size and the price, these men's shoes are also shown at the women's section and the juniors' section. 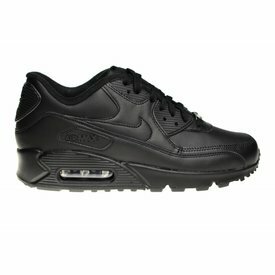 This all black Nike Air Max 90 in the leather has been for years the most popular Air Max 90. It is a true classic, that returns every year. 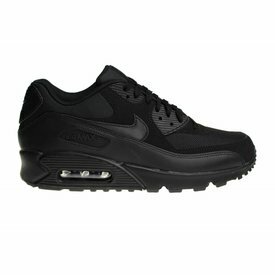 We have again a Nike Air Max 90 in all black for men inside. According to many fans is the comfort of the Essential variants the best. Nice men's Nike Air Max 90 Essential, in the colors black with red and white. The black part above the sole is made of shiny material. Nike Air Max 90 Essential kicks for men. This time it is released in the colors army green with grey. Within Germany and the Benelux no shipping charges! Nike Air Max 90 Essential shoes for men. These sneakers have anthracite as the main color. Furthermore, the colors black and white used in the shoe. A very cool Nike Air Max 90 Essential, which gives us a nice feeling when we see it. Released in the popular color combination: black and white! White with navy Nike Air Max 90 Essential for men. Released with a yellow Nike swoosh (Nike logo). The Nike Air Max 90 is limited available. In our opinion, this men's Nike Air Max 90 Essential is on of the best Nike Air Max 90 models of the past time! The colorway gives a cool look. Gorgeous Nike Air Max 90 Essential "Sport Turquoise" for men. These men's Nike shoes are limited available at a selected group of retailers.